KUALA LUMPUR (Dec 13): The FBM KLCI finished 8.09 points or 0.5% higher, possibly on fund managers' year-end window dressing ahead of the US interest rate decision today. Malaysian shares had tracked Asian equity gains after US stocks closed at record highs overnight on Tuesday. At 5pm today, the KLCI settled at 1,737.66 points as index-linked stocks Hong Leong Financial Group Bhd and Genting Bhd rose among Bursa Malaysia top gainers. "It is quite obvious that there are some forms of window dressing happening today, as there seems to be no particular positive news going on," a remisier told theedgemarkets.com. FXTM research analyst Lukman Otunuga wrote in a note today: "Much attention will be directed towards the (US) FOMC (Federal Open Market Committee) policy statement on Wednesday, which has the ability to impact gold's trajectory this week. While it is widely expected that the Federal Reserve will be raising US interest rates, much focus is likely to be directed towards the tone of the meeting." Across Bursa Malaysia, trading volume was 2.51 billion shares worth RM2.58 billion. There were 532 advancers and 327 decliners. The top gainer was Hengyuan Refining Co Bhd while the leading decliner was United Plantations Bhd. Among Asian bourses, Hong Kong's Hang Seng was up 1.49% while South Korea's Kospi ended 0.79% higher as global markets eyed US stocks record closing highs ahead of the US interest rate decision today (Wednesday). Overnight, Reuters reported that the S&P 500 and the Dow industrial registered record closing highs on Tuesday with a boost from bank stocks as investors eyed a potential cut in US corporate taxes and continued economic growth after strong inflation data. 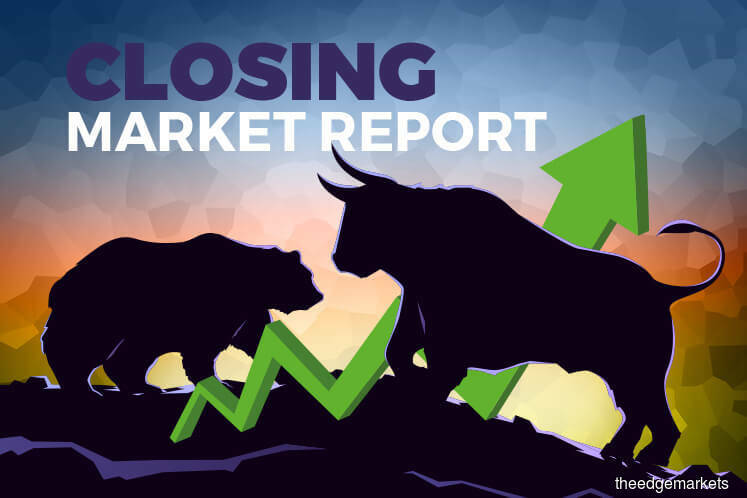 The Dow Jones Industrial Average rose 118.77 points or 0.49% to 24,504.8, the S&P 500 gained 4.12 points or 0.15% to 2,664.11 and the Nasdaq Composite dropped 12.76 points or 0.19% to 6,862.32.